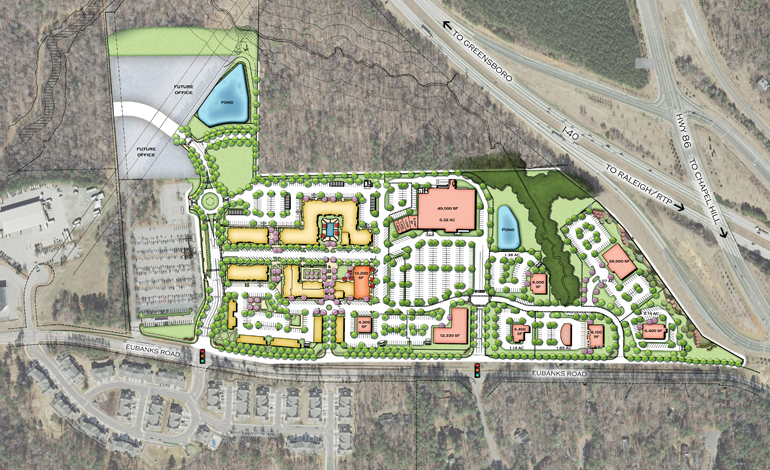 Carraway Village in Chapel Hill, NC is a mixed-use project that could include up to 935,000 square feet of new multifamily, retail and commercial building space with as many as 23 vertically-integrated, low- and mid-rise buildings. 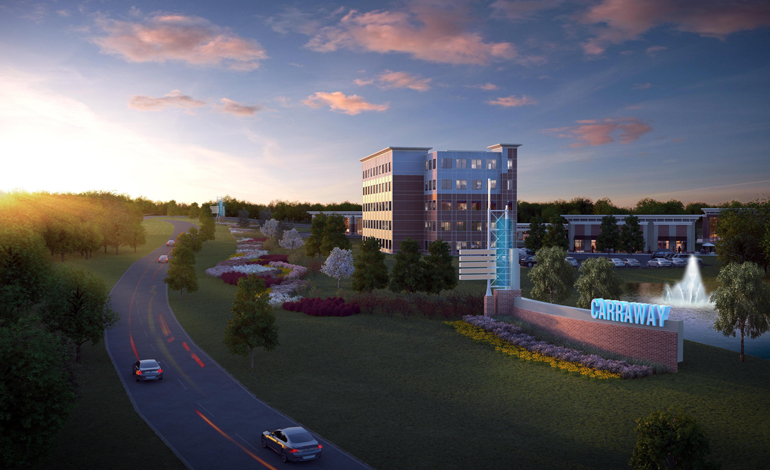 The project will be located near the intersection of I-40 and Martin Luther King Jr. Boulevard, across from the Chapel Hill North retail and apartment complex in northern Chapel Hill. McAdams worked with Northwood Ravin from conceptual planning through Special Use Permit (SUP) approval for a very flexible plan (a first in Chapel Hill) that defined the project within ranges of allowable floor areas, building heights and block frontage requirements. Approval included reconfiguration of the Town’s Park & Ride facility adjacent to the site to allow for a shared entrance road and bus stop next to the residential development. The SUP also included approval of a reduced buffer width along I-40 that could be cleared, replanted and include 35’ tall project signs along the I-40 right-of-way. Following SUP approval, we gained approval of the Zoning Compliance Permit (ZCP) – Construction Drawings, to mass grade the entire 54-acre project, construct the major infrastructure and the initial 400 unit multi-family residential project.